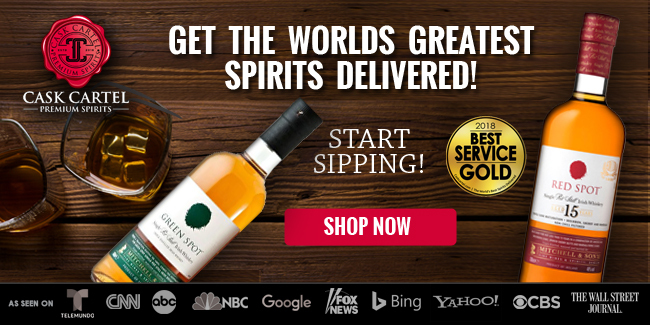 Woodford Reserve Distiller’s Select Bourbon consists of a mixture of pot still whiskey distilled at the company's Woodford Reserve Distillery in Woodford County, and column still spirits from the Brown-Forman Distillery in Shively, Kentucky. The exact mixture ratio is undisclosed, however considering the distilling capacity at the Woodford Reserve Distillery, it most likely leans to a large volume of barrels from the Brown-Forman Distillery in the mixture. 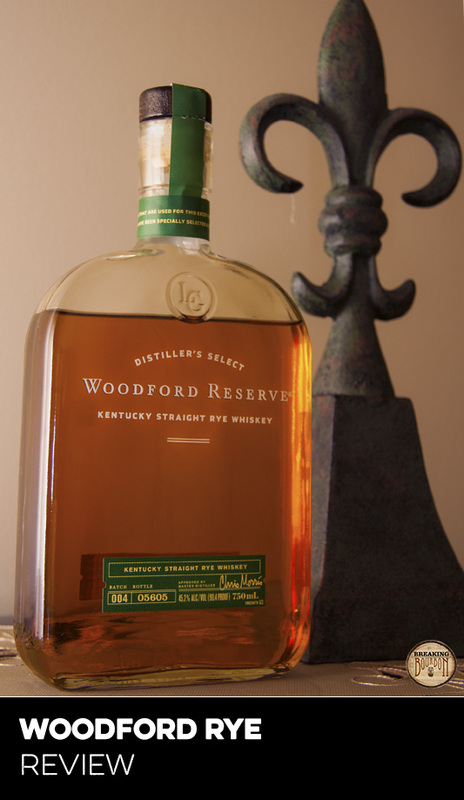 Woodford Reserve is also the official bourbon of the Kentucky Derby. 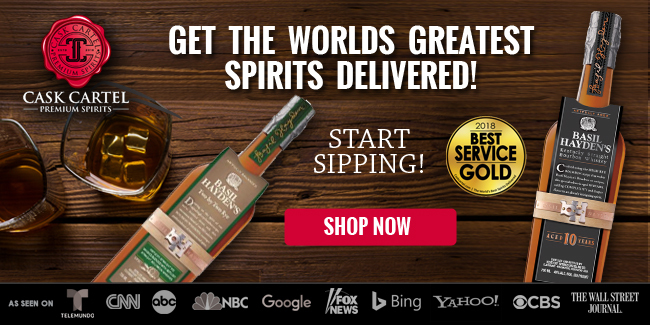 Ironically even though Woodford is the official bourbon, Brown-Forman’s Old Forester serves as the bourbon base in the official drink of the Kentucky Derby, The Mint Julep. Simple classic bourbon scents of vanilla, honey, and light oak intermingle with light hints of orange rind and graham cracker. These are all topped with a surprising amount of ethanol. 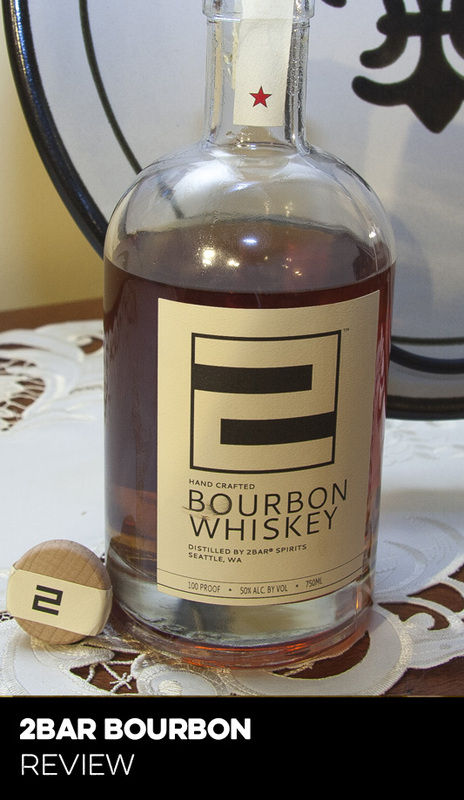 While it isn’t overly harsh, it seems odd for such a low proof bourbon. Ethanol aside, this is a low key nose with scents that are simple enough to enjoy for even a bourbon novice. Slightly sweet and thin, the palate delivers light flavors of vanilla, honey, and citrus which rest over a thin layer of rye and oak. 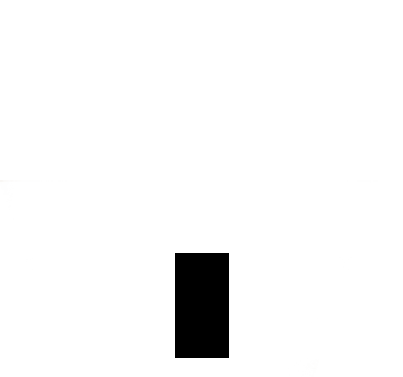 The ethanol that was noticeable in the nose is nowhere to be found in the palate. In fact this drinks very light and if I went into this blind, I would have guessed this to be an 80 proof bourbon based on intensity alone. The flavors aren’t bad per say, but the palate is incredibly thin and leaves me wanting more. Green pepper, aged oak, leather, and hints of tobacco are all noticeable up front. 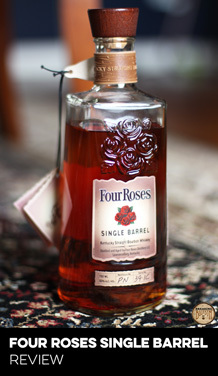 As the finish lingers, it gives way to a slow burn with dry leather and a slight hint of tobacco lingering for a while. It contrasts the nose and palate in that the sweetness takes a backseat, but not necessarily in a bad way. It’s simple nature works well and the low proof makes this very easy to sip and enjoy. 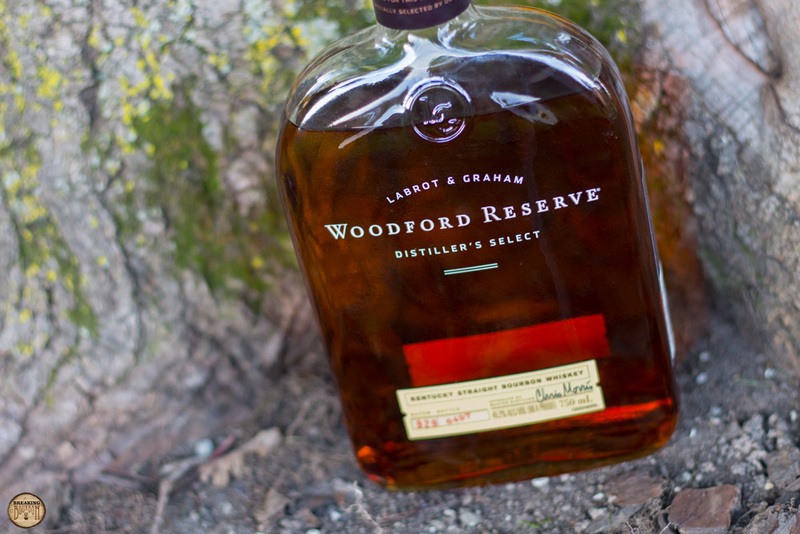 When Woodford Reserve Distiller’s Select Bourbon first came out, it was at a time when charging $30 plus for an everyday bottle of bourbon was unusual. 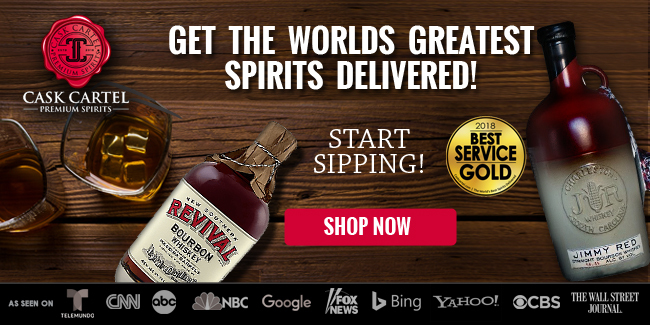 Those were the days before special releases like the Buffalo Trace Antique Collection or other high end yearly releases from the likes of Wild Turkey or Jim Beam flew off the shelves at much higher price points. 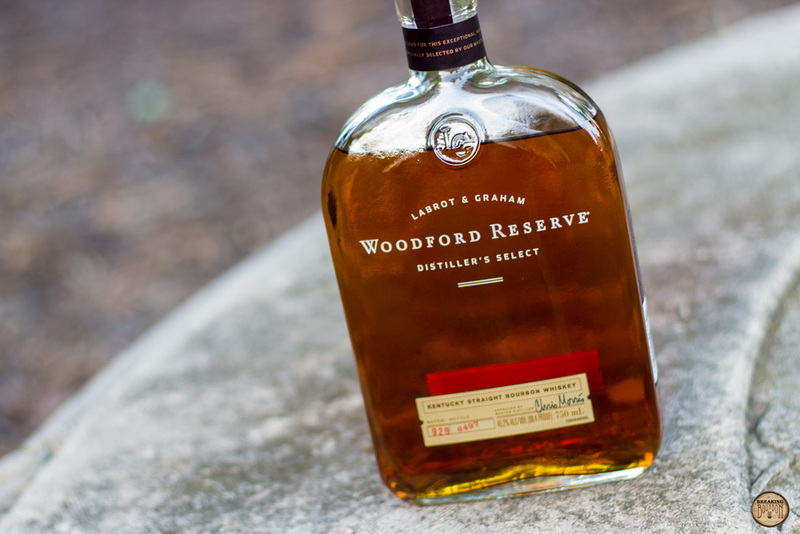 Woodford Reserve tried to make bourbon cool again by bringing out a bold new bottle design and charging a premium price. 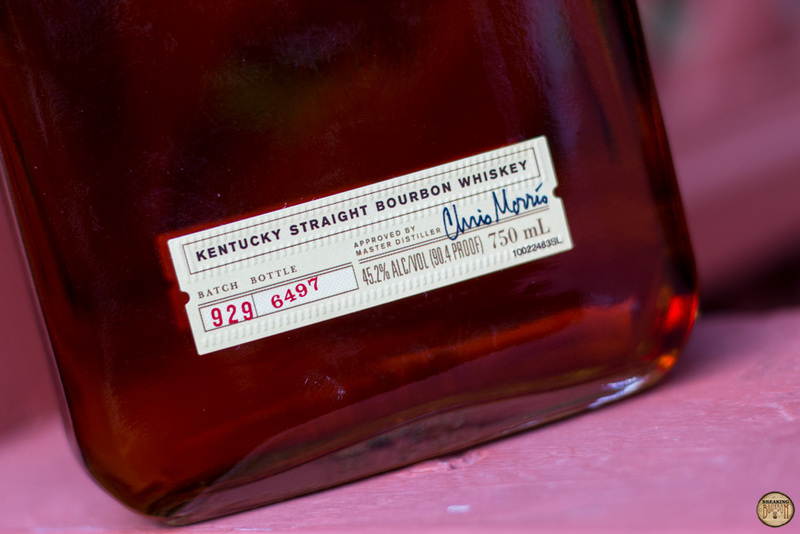 Fast forward over 20 years, and what once was considered premium bourbon, now gets lost in the mix of hundreds of other bourbons on the market. 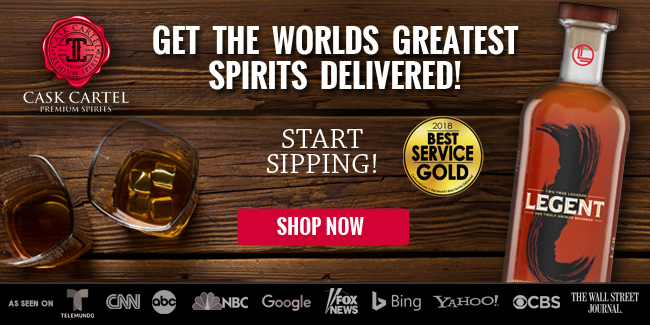 That said, Woodford was actually able to maintain that perceived premium feeling with great marketing. From the unique bottle design that continues to stand out on bar shelves to this day, to its sponsoring the KY Derby, to its almost ubiquitous nature of being associated with bourbon-based manhattan cocktails, it manages to find ways to stay relevant. Woodford Reserve Distiller’s Select was the first bourbon that got me hooked on actually drinking bourbon straight and then neat when I was living in Kentucky years ago. While I’ve since long past moved on from reaching for a glass of it neat, I still think it makes for a nice subtle bourbon cocktail. 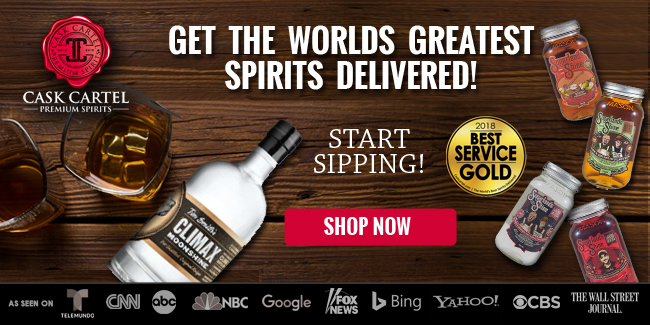 A little of it is the marketing magic that Brown-Forman has engrained in me, but more importantly, its unobtrusive flavor profile allows the rest of the components of a cocktail to shine through and enhance the overall drink. This combined with the fact that I can find it in most bars, is what allows Woodford Reserve to continue to stay relevant in my book. Here is a bourbon that for over 20 years hasn’t gone up in price that much compared to many of its peers. Priced at $35 a bottle, it seems like this should be a great value for a bourbon in today's marketplace. That said, the market is much different from when Woodford Reserve Distiller’s Select was first introduced in 1996. The plethora of choices consumers now have means what once was considered premium is now considered a bit mundane. 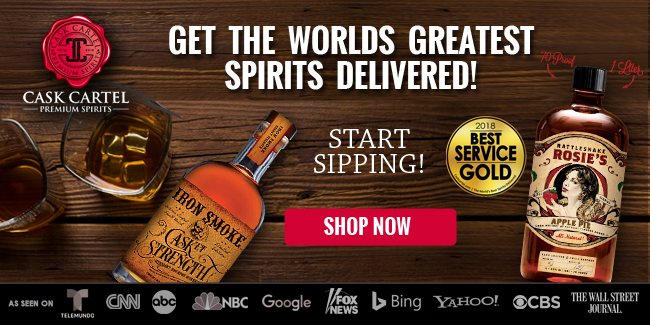 Sure you may get a unique looking bottle, but there are many bourbons in the $20-$40 range that deliver a better flavor profile for the money compared to Distiller’s Select. I would prefer to see this sold for $25-$30, as I feel that would be a fair asking price for what you’re getting. 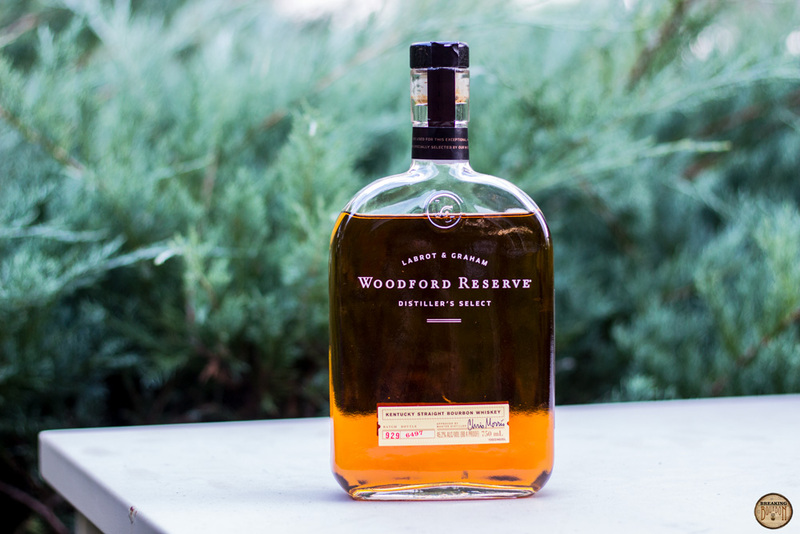 While it doesn’t hold the status it once did, Woodford Reserve Distiller’s Select manages to still serve a purpose in today's marketplace. Time is a funny thing. Had this review been done in 1996 it would have most likely read a lot differently. Here is a whiskey that tried to solidify not only a new premium bourbon category, but one that was readily accepted by consumers. It had an edgy bottle design for the time, a high price and an easy to appreciate flavor profile to go with it. But you can’t rest on your laurels forever. 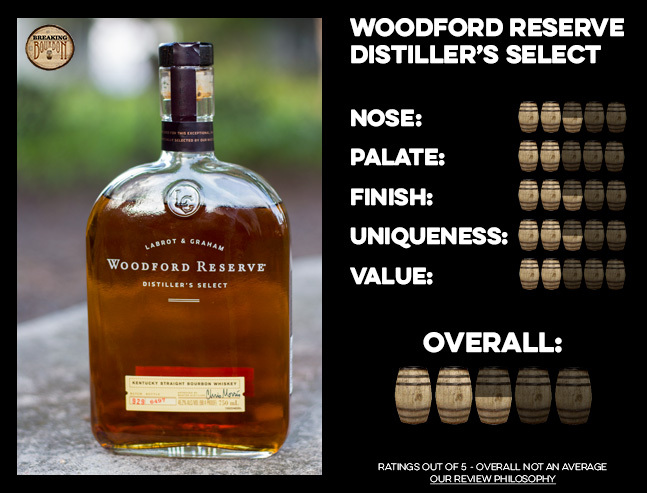 Woodford Reserve Distiller’s Select may not be as relevant as it once was in the marketplace, however it still serves a purpose. Its simple flavor profile offers a way to dive into bourbon without being overwhelmed by worrying about trying to pick out exotic flavor characteristics. Additionally, for those who have since moved on from drinking it neat, it still offers a good base for cocktails due to its straightforward and approachable flavor profile that doesn’t overpower the drink. There’s still a time and place for Distiller’s Select, but it's just not as exciting as it once was.